YeboYes e.V. - yeboyess Webseite! 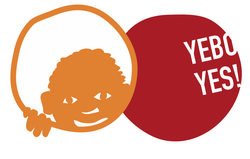 We chose the name “YeboYes” for our organization because it is a typical expression of confirmative and affirmative in the Zulu language, which you often encounter in the streets of KwaZulu Natals. “YeboYes” also means to take the initiative to approach someone. In this way, we want our organization to make a concrete contribution in supporting the Kenosis Community in South Africa. We, the founders of the organization, want to make a difference and are committed to South Africa and its people. In particular, we are committed to the Kenosis Community, of which we are avid supporters! we can actively do something for the Kenosis Community here in Germany, despite the huge distance between us. We, the founding members of the organization, served for one year as volunteers at the Kenosis Community and partook in life there. We worked together in the most unusual areas, experienced and lived the lives of the people, and became very fond of THEM and their country.